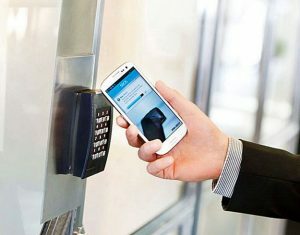 Electronic Access Puts You In Control! You don't have to worry about lost keys or employees making and sharing unauthorized duplicate keys. You can track when your employees are coming and going and control all after-hours access to the facility. By eliminating lock rekeying charges, your security operating costs are greatly reduced. With the new generation of smart key entry systems on the market, the conversion to access control has become easier and more cost-effective than ever. The old difficulty with installing access control systems has been the wiring required in the installation. This usually increased the cost of the systems considerably. But now with the new smart key systems, a customer can get all the benefits of access control without the high initial costs. There are smart key systems that will fit most applications, for more information and pricing please feel free to call our office.